nParallel has been supporting New Era with their pop-up mobile kiosk experiences to sell gear at stadiums throughout North America. 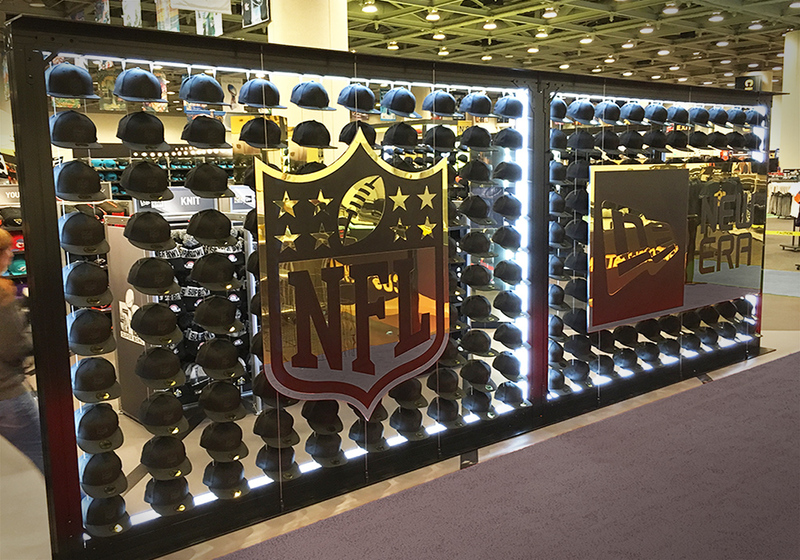 New Era Cap has been expanding to high-profile events such as the Super Bowl, NFL Draft, MLB’s All-Star Game and more. As they’ve continued to grow, nParallel has helped New Era drive brand awareness, increase revenue and engage with customers through creative designs, visuals, layouts and overarching retail strategies at events. nParallel has been supporting New Era with their pop-up mobile kiosk experiences to sell gear at stadiums throughout North America. 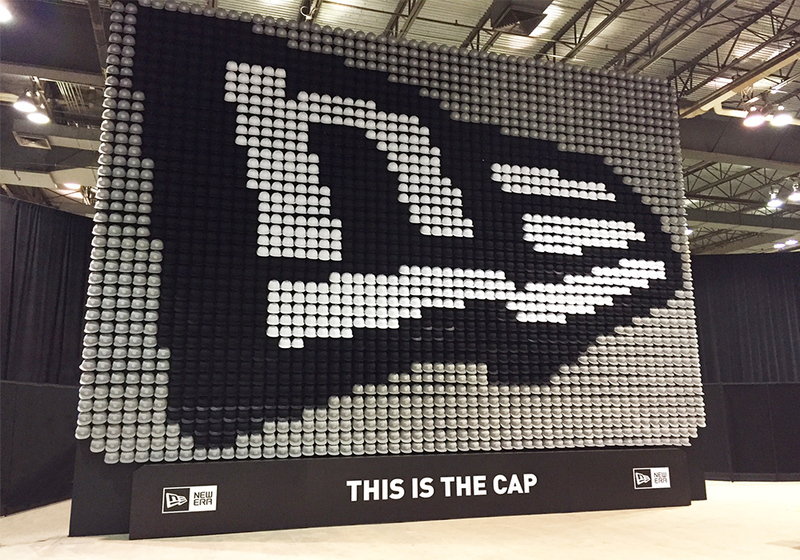 Most recently, nParallel helped New Era successfully concept, manufacture and display a 36 x 30 square-foot Guinness Book of World Records Cap Wall with 2,151 caps in the New Era logo at Super Bowl LI. nParallel also created a 4,000-square-foot brand shop within the NFL Fan Experience at the Super Bowl LI to generate additional business for New Era. The retail design concepts were created to be mobile, durable and flexible to meet the standards of each stadium and the rigors needed to manage high volume traffic on game days. The outcomes of each New Era activation continue to help the company grow its international lifestyle brand. nParallel ensures to deliver cost-effective solutions with a diverse approach for each activation.